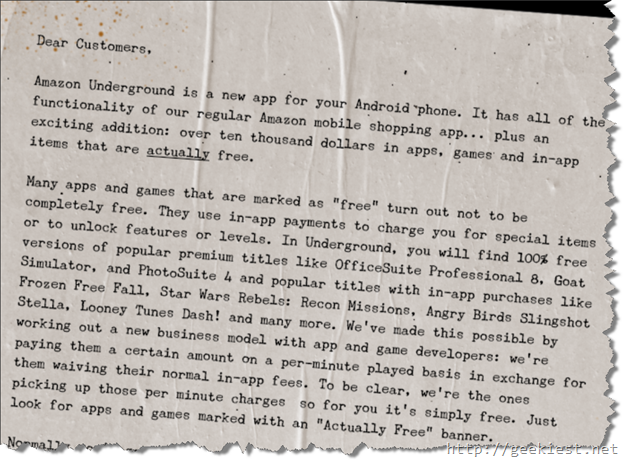 Amazon launches a new App names Amazon Underground, which will offer $10,000 worth games and Apps for Free. You may also get the In-App purchases for free. 2. Visit the above link from your computer and enter your email address to get download link. 3. If you have installed Amazon App store on your phone, you can get this via that too. The above message is from the amazon Underground,. 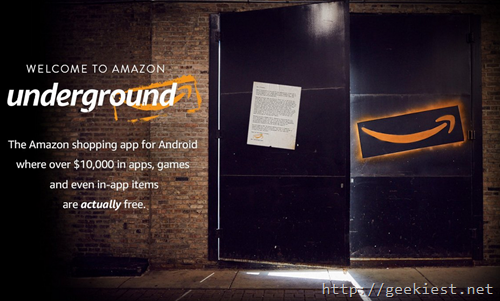 So install the Amazon Underground and get Paid apps and in-app purchases for Free. 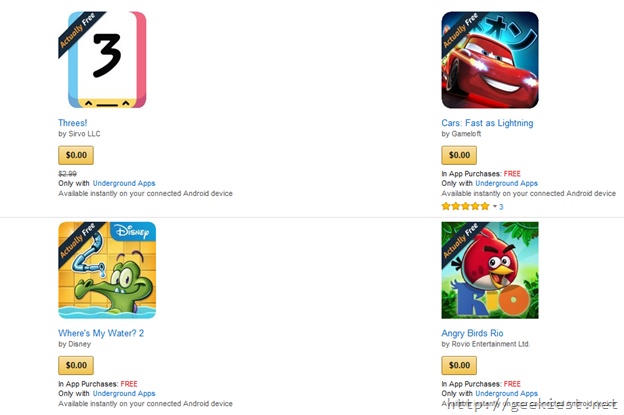 Amazon Underground oiffers Paid application and in-app purchases for FREE for your Android devices.